About the best means of transportation on snow-covered mountain trails is a Snowcat – those machines that cross between a tank and snowmobile. The only problem is luxury or that vast lack thereof. Well, GMC now has an answer for this frigid conundrum. 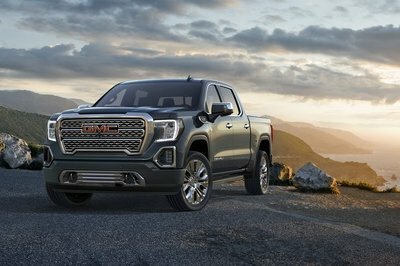 Meet the 2018 GMC Sierra 2500HD All Mountain Concept. This one-off monster is basically a Sierra 2500 with a ton of upgrades, but its foundation is familiar. The truck runs the new-for-2017 6.6-liter Duramax turbodiesel V-8 with a stump-pulling 445 horsepower and 910 pound-feet of torque. The Alison 1000 six-speed automatic transmission and two-speed transfer case are responsible for shifting gears while five people can ride in the leather-lined crew cab. 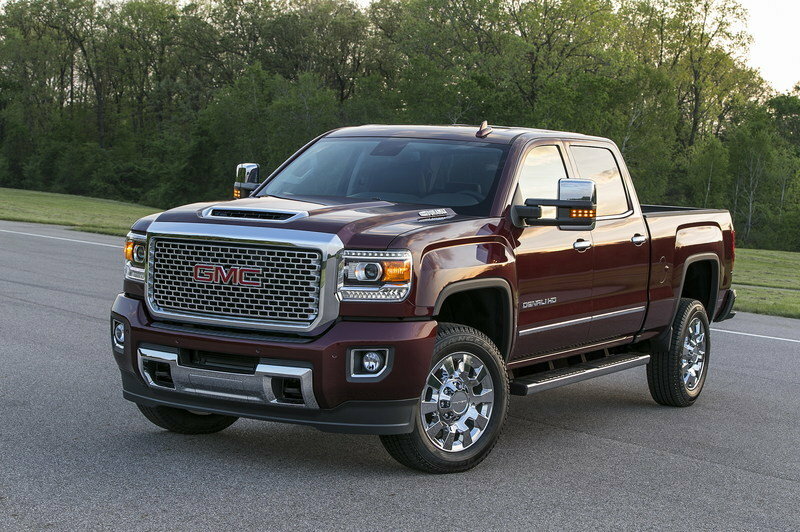 Naturally, GMC started the concept build with a Sierra Denali, meaning nearly every available feature and amenity comes standard. Oh, and of course heated seats and a heated steering wheel are included. Keep reading for the rest of GMC’s upgrades. Quite obviously, those treads are the biggest change to this 2018 Sierra 2500HD Denali. They’re from a company called Mattracks and chances are good you’ve heard of them and seen their tracks before. This particular setup is Mattracks’ 150 Series Tracks and have that added touch of GMC red, matching the GMC logo. The Mattracks bolt right to the truck’s hubs. The large inner wheel turns the rubber tracks while smaller caster wheels contour to the ground while keeping the track tight. The extra wide and long footprint provide all the traction needed to scale slippery slopes. 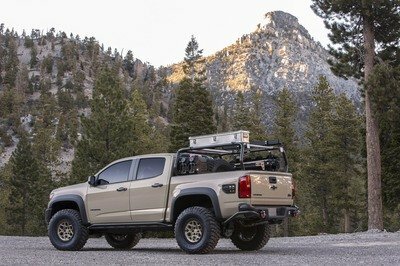 The 2018 Sierra 2500HD Denali is also fitted with the All Terrain X suspension upgrade available from the factory. 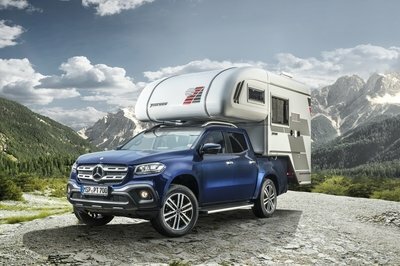 This includes shocks and springs tuned for off-roading while still capable of hauling 2,513 pounds in the bed or towing up to 13,500 pounds on a fifth-wheel hitch. Just don’t expect to be towing with those Mattracks. 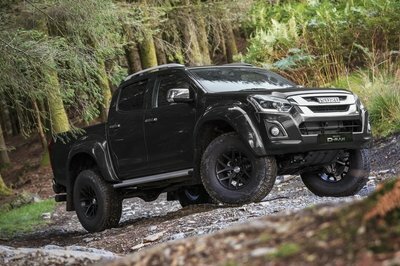 The All Terrain X package also adds the front bumper guard, the bed-mounted sports bar, and tubular side steps. 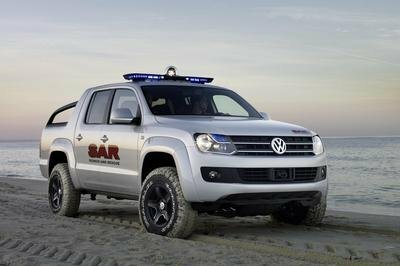 Other upgrades include the custom body wrap with loud graphics, LED off-road lights that illuminate the undercarriage, a 30-inch LED light bar for better forward visibility, Thule snowboard racks, and a soft tonneau cover that rolls up for access to the cargo bed. Inside the cab, the stereo system has been upgraded with an amp and a Dual Pod Speaker kit from Kicker. 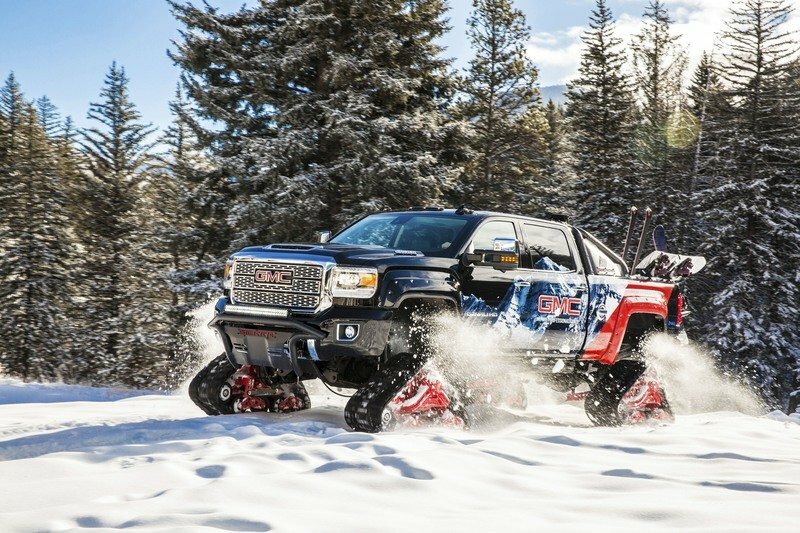 GMC built this rig in conjunction with Vail Resorts; a big-time report company focused on mountain and ski getaways. 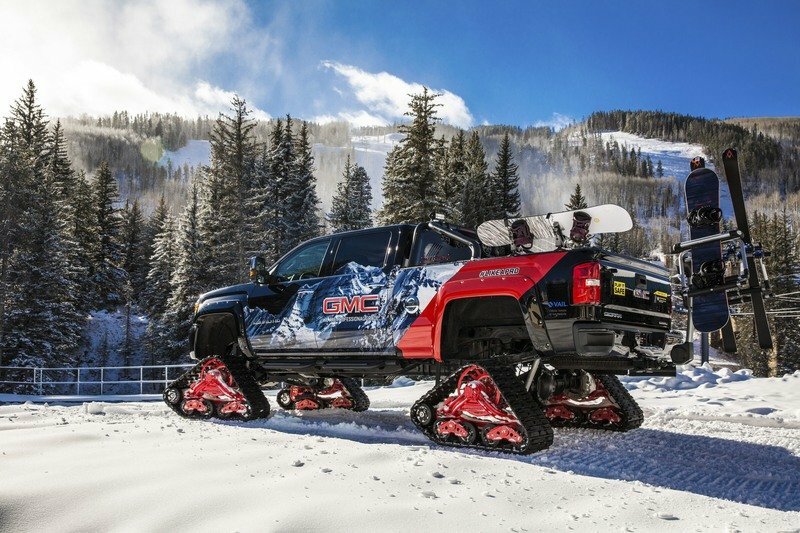 The truck will be on display at Vail Mountain in Vail, Colorado through this winter season. What do you think? Would you like to power through some powder at the local ski slopes? Let us know in the comments below. Read our full review on the 2018 GMC Sierra Denali 2500HD.